It is humbling to see the p cubed ideas being taken up and shared by others. A recent blogpost by a twitter friend Shane Gryzko reiterates a valuable point: there is more to a practise than simply repetition. Practise needs to be structured and intentional and this will bring about significant improvement in a presentation before its delivery. There is more to practise than simply repetition. No great performance by a musician happens solely by turning up on the day. No artist simply takes an idea and produces an image without iteration. 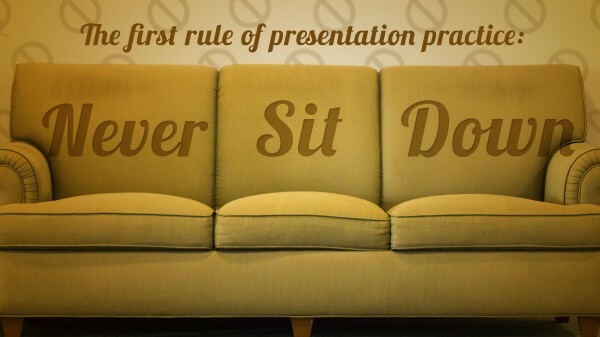 No great presentation is merely written, illustrated and delivered. Yet embarrassingly few presenters practise their presentation before delivery and few that do, do little more than repetition. Practise is about assessing, modifying and developing a presentation in each component p1, p2 and p3. In constructing the p1 most presenters use written media. Spoken and written versions of the same story are different. It is important to make the translation of one to the other and the best time for this to happen is in rehearsal.The written script changes into a spoken form not simply in the phrasing but also in the flow of the steps that only becomes apparent in delivery of the whole. No film is ever shot in a linear fashion, the full telling of the story happens in the editing suite. Rehearsal allows the presenter to add and remove sections to improve the piece as performance highlights issues. Many presenters spend large amounts of time refining their supportive media p2. This may be counter productive as small changes are frequently of little significance to the audience but consume large amounts of time tweaking the font, altering the composition or changing accents. Clearly there can be improvements made in rehearsal, the best would be in reduction of slides used. Practise and review will highlight this. Both p1 and p2 can be easily reviewed by the presenter themselves. p3 practise is more challenging. A simple teaching case will not require more than one or two run throughs but for a major presentation such as a Keynote delivery there is real value in the iteration Shane mentions in his post. Practise delivery to a friend, a neighbour or a colleague. Even someone outwith your field should be able to understand a presentation and may offer valuable insights not seen by those closer to the matter. An external viewer will undoubtedly add insights that will improve the ultimate piece. Practise of p3 must also consider choreography and timing. Movement needs to be purposeful, practise allow the presenter the opportunity to recognise where this happens well within the structure. Assessment of timing of the finished article is essential and often leads to enforced editing. Then one can rehearse and groove the piece to ensure the best delivery possible. No presentation is complete without practise. Practise is not simply repetition but review of each of the component parts, reflection on the final piece and improvements undertaken and further reviewed. Time spent on practise reaps great rewards. agree the focus should be p3>p2!! Andrew, I’m afraid I don’t understand the comment, please explain.